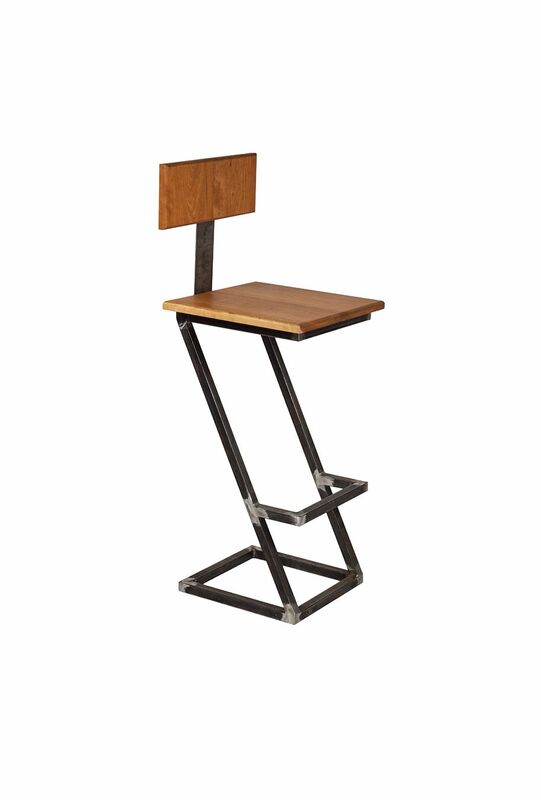 Made with a solid hardwood top and back, and a MIG welded steel frame base, this barstool stands alone in it's simplicity and design. With it's unique Z frame design and choice of hardwood seats, this barstool was designed to stand out in any bar or island counter top location. Pictured with Cherry back and seat. Can be customized to the HD design if desired for extra weight capacity.